Please note: This is a Sample Schedule only. There may be small changes during your training to accommodate factors beyond our control. Level 1 – RYT-200 Hour Training – Want to know more? View our Upcoming Course Dates and locations here. Want to know what others thought of the course? View our graduate testimonials here. We have gathered an incredible team of passionate and talented teachers. Meet them here. 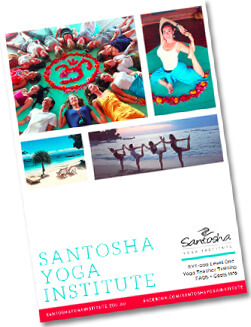 If like hundreds of other happy Santsoha students before you, you are ready to transform your life with a Santosha Yoga Teacher Training – then take action and secure your place today!